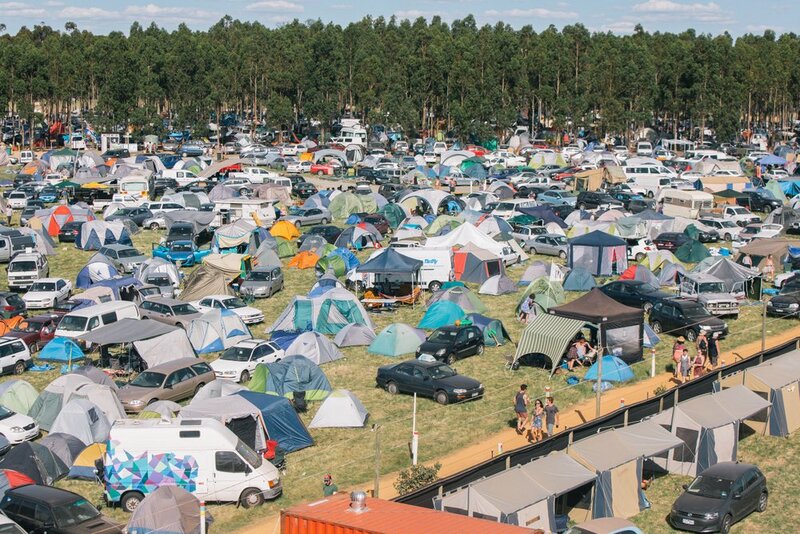 The amount of space in the campgrounds has expanded enormously in recent times – with the introduction of Outer Space, Tom Mankeys, Bluegums and South Pines. 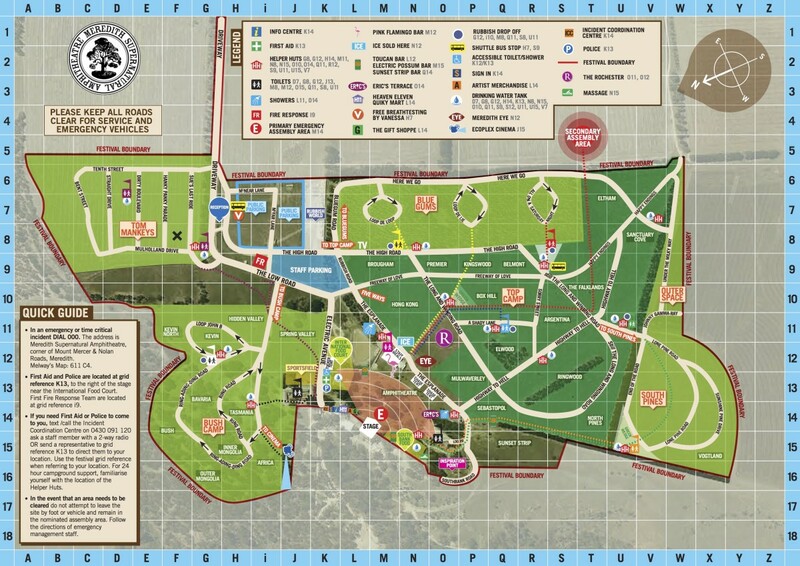 Creating more elaborate campsites each year is a popular pastime – you know, extra tent, decoy tent, maybe a pergola lounge, a tarp, etc. All that means the same amount of people take up more room. Which is terrific – we got plenty. © MMF Pty Ltd. Artwork by Oslo Davis. Website by Open Season & AQS.